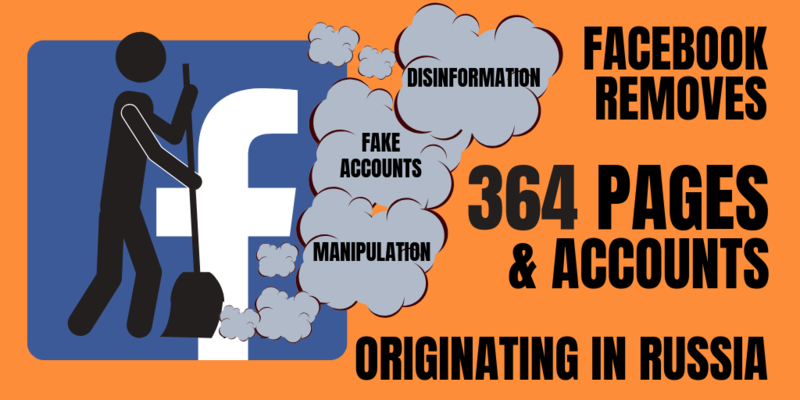 January 17 Facebook announced that 364 pages and accounts will be closed, due to “engaging in coordinated inauthentic behaviour as part of a network that originated in Russia and operated in the Baltics, Central Asia, the Caucasus, and Central and Eastern European countries”, like reported by euvsdisinfo.euThe whole statement can be found here. In short, Facebook has managed to identify 364 pages that claim to be independent news pages, but in reality – a part of a coordinated operation, lead from Russian state actors. In this case – state owned Russian agency, Sputnik. According to the Facebook announcement, the pages that have been closed have been linked to employees of Sputnik. The pages have been devoted to various topics, liked weather, travel, sports or politics. Several pages have been devoted to politicians in several EU member states, Eastern Partnership states and in Central Asia. The pages now closed by Facebook, had around 790,000 followers and invested 135,000 US Dollars on advertising. Besides the 364 pages connected to the Sputnik Agency, Facebook closed another 107 pages, groups and accounts and 41 Instagram pages, all engaging in coordinated inauthentic behaviour as part of a network, based in Russia and operating in Ukraine. The term “coordinated inauthentic behaviour” means that the pages are part of coordinated effort, in this case run by Kremlin operatives, but pretending to appear as independent, individual sites. The EU issued late last year an Action Plan aimed at tackling online disinformation in EU countries and beyond. The Action Plan acknowledges the need to challenge Russia’s ongoing disinformation campaigns.